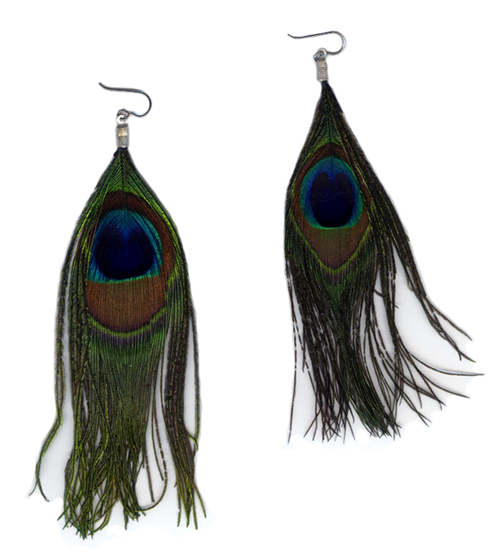 Peacock eye feathers suspended from titanium ear wires. 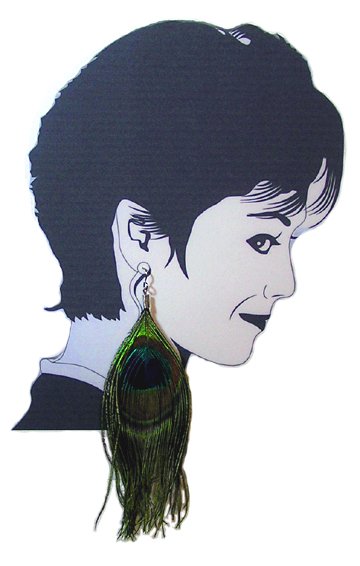 A fun set of earrings that make a statement! Truly light as a feather and the latest fashion trend.